Around the world, the 2018 centennial of Aleksandr Solzhenitsyn gave rise to numerous exhibits, conferences, publications and concerts designed to re-engage more deeply with the rich complexity of Solzhenitsyn’s writing and thinking. 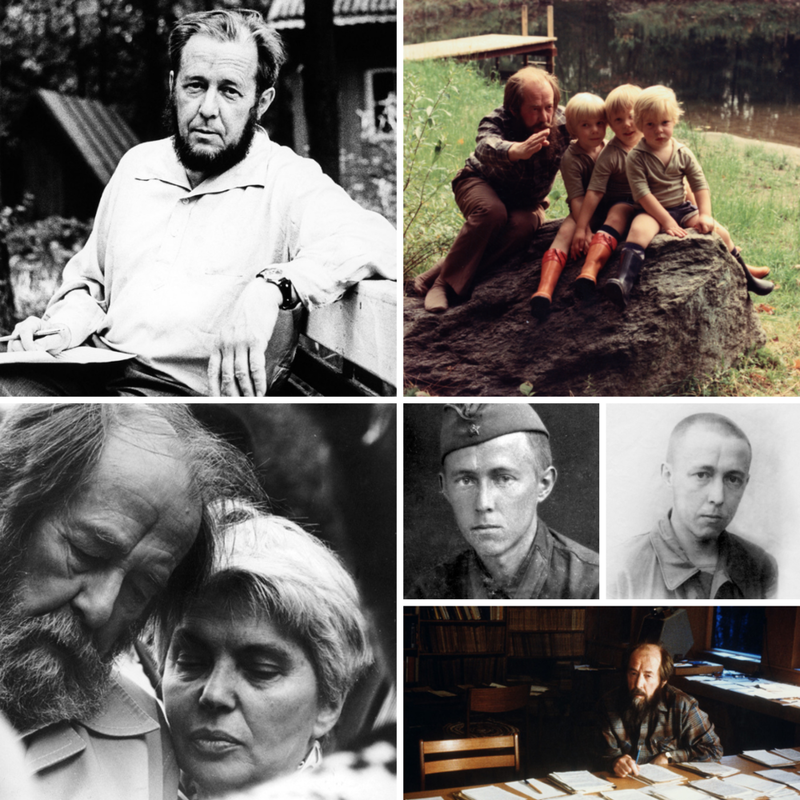 The Gulag Archipelago and One Day in the Life of Ivan Denisovich are two of Aleksandr Solzhenitsyn's most well recognized works; but the writer never shied away from experimentation or remained committed to one single literary form. Other writings include a multi-volume novel (The Red Wheel) and a series of binary tales (Apricot Jam and Other Stories), among others. Aleksandr Solzhenitsyn graced the cover of Time Magazine in 1974; that same year he would go on to accept the Nobel Prize for Literature that he was awarded in 1970 while in exile. He was fifty-six years old; but already had lived an extensively rich life with experiences that would inspire his creative work for decades to come.